Morgan said a “be on the lookout” message was issued after an original head count because officials thought three people were missing. He said authorities conducted a recount and realized all were accounted for. The building was rocked Wednesday night by what may have been a natural gas explosion, he said. Deputies were having a difficult time searching the structurally unsound building. “It’s pretty much complete destruction inside this facility. It was a huge explosion,” he said. The building sustained flooding damage last week and in this week’s recent torrential rains, Morgan said. Rains like that are only going to happen more frequently in more places as the climate changes, partly due to burning “natural” gas. Maybe we should get on with energy sources that don’t have this problem: solar and wind. Investigators say a deadly jail explosion in the Florida Panhandle appears to have been caused by natural gas but would not specify whether a leak may have been to blame. 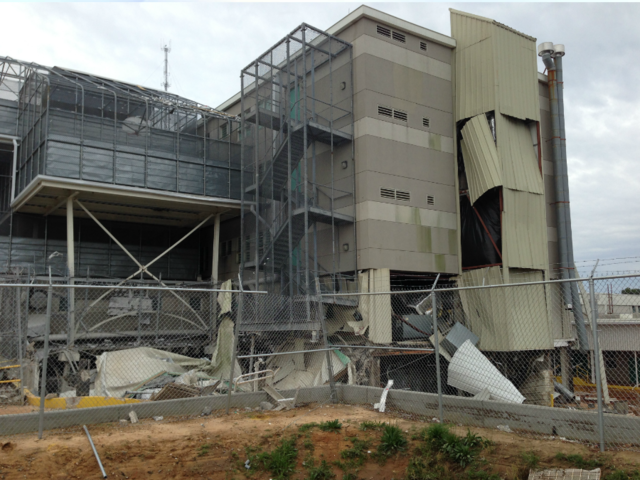 The state fire marshal’s office said Friday that investigators have finished their work inside the Escambia County Jail. Marshal’s office and federal Bureau of Alcohol, Tobacco, Firearms and Explosives officials said the blast appeared unintentional. 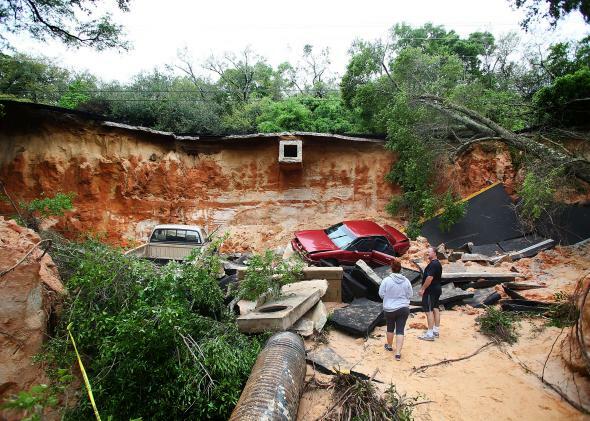 The April 30 fire amid historic flooding killed two and injured more than 100 people. Good thing the investigation wasn’t left to PHMSA, or, worse, FERC, or we’d probably never know what caused the explosion.